On Wednesday May 10th, Cutoff Pro Audio and PLAYdifferently invite you to a special in-store demonstration of MODEL 1 – the new DJ mixer created by Richie Hawtin and Andy Rigby-Jones. 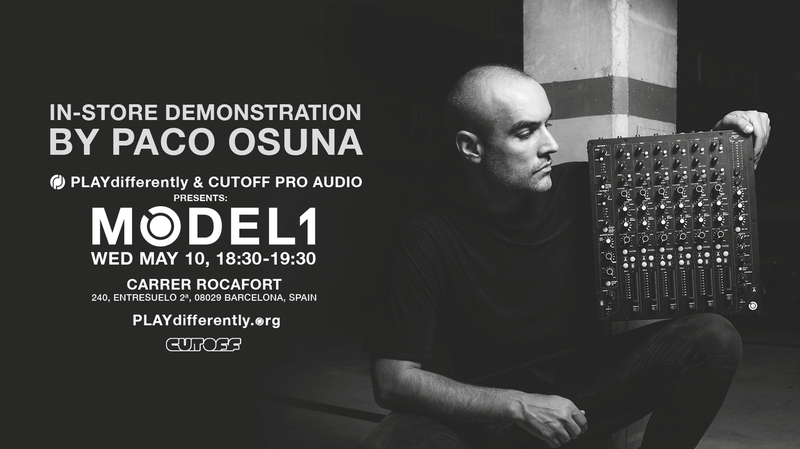 Paco Osuna, an official PLAYdifferently ambassador, will demonstrate MODEL 1’s functions and capabilities through a short talk and DJ set, showing how he has incorporated the mixer in to his own performance. Attendees will also have the opportunity to experience MODEL 1 hands-on with their own music. Please bring your CDs, USB or vinyl. Entry will be free but extremely limited ONLY to those who register online. There will be no walk-up admission granted.